Want to keep up with the adventures of the Winchester brothers? Try our recommendations below! The CW renewed the series for the 15th season on January 31, 2019. Supernatural is a series involving fantasy and supernatural creatures created by Eric Kripke, starring Jensen Ackles and Jared Padalecki. Initially broadcasted on The Warner Bros. TV Network, it subsequently became a part of The CW’s lineup. The series is currently on its 14th season, with its 301st episode entitled “Ouroboros” set to air on March 7, 2019. You can watch Supernatural on Thursdays at 8/7 c on The CW. 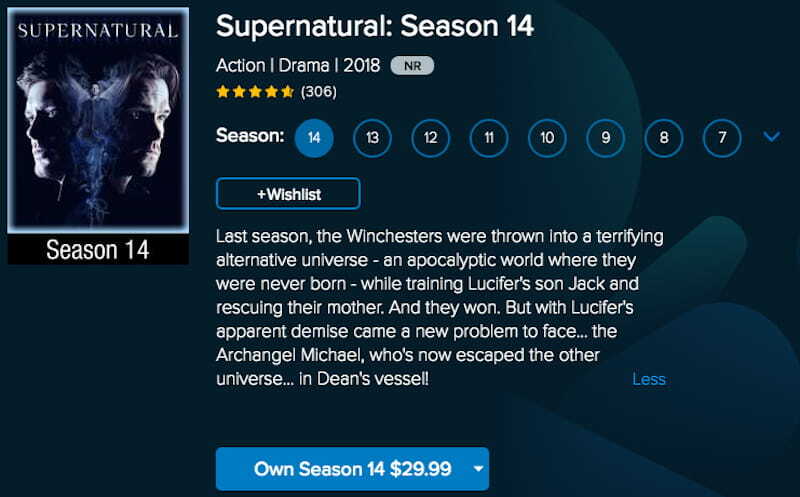 If you’re not currently subscribed to any cable provider and you want to binge-watch until the fourteenth season, check out our recommendations on where you can watch Supernatural below! Start on the official website of The CW. It’s kind of a bummer because you only get to watch the current season, meaning you can’t access the previous ones. Another thing is that the episodes are available for only 30 days after it airs, so you’d best hurry up if you want to watch it. The only benefit from this platform is that you also get to access bonus content and exclusives which are limited to the official producer. If you’re not a U.S. resident, you might have trouble accessing the episodes on the site because it’s restricted. In that case, we recommend using a VPN to bypass such restriction. You can skip down below for our instructions on how to access geo-locked content. Supernatural is also available in the iTunes Store. If you have an Apple device, look no more for all episodes and seasons of Supernatural are available on the Apple iTunes store. That’s 14 seasons and 300 episodes of binge-watching, all for your viewing convenience. If you can’t watch it in one sitting, good for you – Apple lets you download the episodes so you can rest, watch, and repeat. Buying the season 14 bundle entitles you to a season pass, which means that you’ll have first access to the episode when it finishes airing in the U.S.
For those outside the U.S., don’t pout – just make an iTunes U.S. account and you’re ready. If you have an Android device, this one is for you. Users with an Android phone can also rejoice because Supernatural is also available in the Google Play Store. Just use your Gmail account to access the Play Store, search for supernatural on the Movies and TV tab, then select the episode you want to watch (or you can also buy the whole season in HD if you want it all). If you’re also looking for other platforms where you can watch Supernatural, try Vudu. 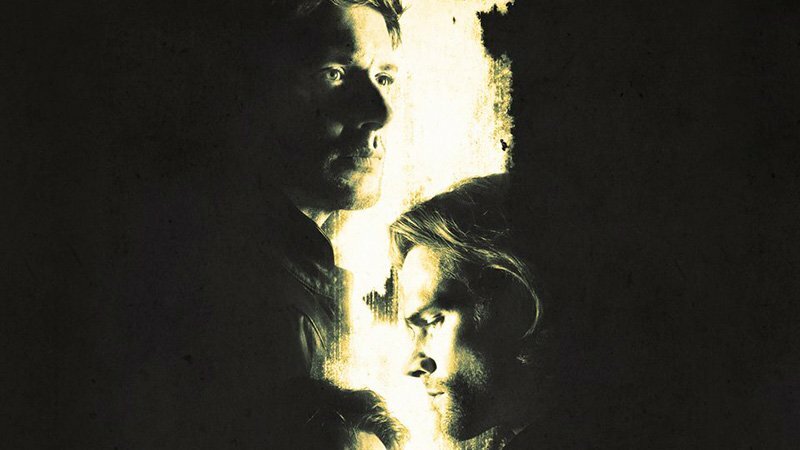 Supernatural’s been running for nearly 15 years now, so it’s no surprise that there are lots of legitimate alternatives where you can watch the show – and Vudu is another one. It offers the same services as the others, so you’re guaranteed a good streaming experience apart from popular ones. It also lets you download the episodes, so try the feature if you want to watch Supernatural in your spare time. Subscription to streaming sites can be a little pricey, so not all can actually pay for the platforms mentioned above. Here are the things you can do to maybe watch Supernatural online. Copyright infringement policies will always get in the way, so there’s a (very) big chance you won’t find Supernatural on Youtube. 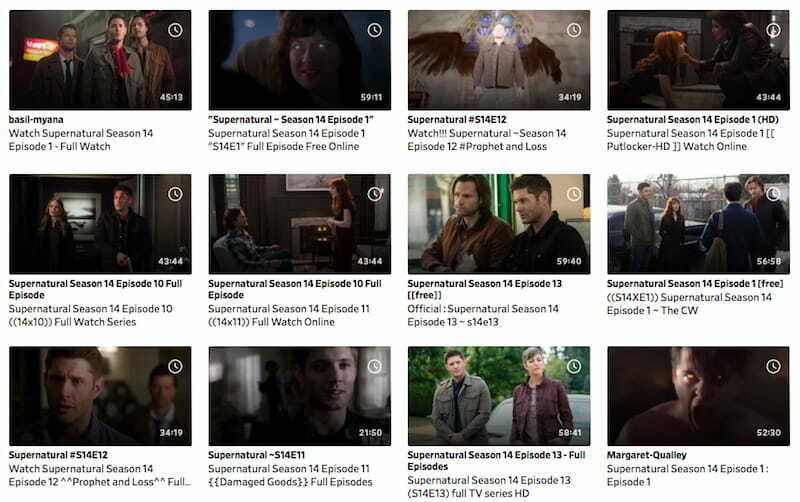 If you’re really itching to watch Supernatural, then try Youtube’s neighbor – Dailymotion. It boasts a vast library of media that might probably include (some) episodes of Supernatural. Be careful when clicking the videos on site, some are simply click bait and redirections. You can also try Moviecafe if you want. It’s also a streaming site where you can find lots of media files on movies, tv series, and other streamable content. First things first, you’re required to register an account before you can start watching. We recommend using a fake email in such cases to protect your privacy and security and to prevent being bothered by phishing scams and other harmful stuff. Note that you also need to watch out for ads and pop-ups which might interfere with your streaming experience. Try Google if you’re not satisfied. You can just search for “where to watch supernatural for free” or “where to stream supernatural for free”. Try anything you can think of to find what you’re looking for. Don’t forget to enable the AdBlocker you have in your browser to safeguard your browsing session and to prevent annoying pop-ups and ads from harming your computer – or you can just subscribe to a premium VPN which offers even better protection! Torrenting is also an option, but we do not recommend it. It’s illegal and punishable by law in multiple jurisdictions with imprisonment and hefty fines. In addition to that, you risk exposing your network to malicious intrusions and other harmful stuff which come with the stuff you download. Protect your privacy by learning how to use a VPN. If you are still determined to torrent and you don’t want to be in trouble, use a VPN for torrenting. The CW is not available for most Internet users, so it’s kind of sad not to be able to stream Supernatural on its site. 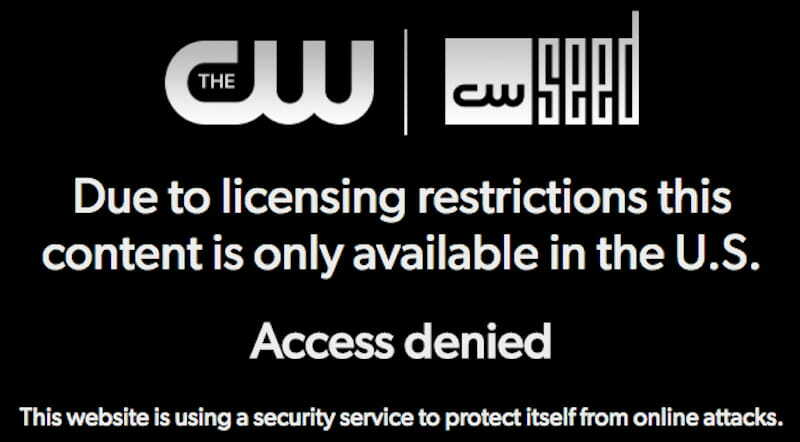 Access to The CW is only available in the U.S. But don’t worry, you can still watch on The CW website even though you’re at the comfort of your own home. How? Through the use of a VPN. A VPN hides your IP address and replaces it with the one you’re trying to connect to, so you will have no problem connecting to the U.S. or its territories. That means that you can access The CW’s website as if you’re residing in the U.S., Pretty cool, right? Check out our 2 recommended VPNs which can unlock Supernatural anytime! If you’re looking to unlock Supernatural, then ExpressVPN is the first VPN you need to consider. It’s a sure-fire way of unlocking Netflix and other streaming sites make it a top-rated VPN – hands down. What’s more is that apart from this, you’re also guaranteed high internet speeds, 24/7 customer service (perfect if you’re just starting out), and torrenting! ExpressVPN subscription is around $8.32/month for 1 year, which is a pretty decent amount to pay compared to premium streaming platforms which are costly and limited. It’s an all-around VPN which is a certain value for money! Try NordVPN if ExpressVPN’s too expensive. NordVPN has the same service at a lower and longer subscription plan which is $2.99/month for 3 years. With over 5000 servers in over 60+ countries, you’re sure to connect to virtually anywhere around the globe. It’s a cheaper VPN that does the job and your pocket justice. If you can pay for a Netflix subscription, it’s a no-brainer that you can also pay for a premium VPN subscription. Take it as like being subscribed to Netflix, but with a bigger library. Anywhere. Torrent all you want without worry. VPNs make your torrenting activities secure so you won’t have to worry about getting caught anytime soon by anyone, even the government. It protects your computer from harmful stuff that’s on the Internet. Let’s face it. The Internet is a free place, anyone can absolutely upload anything anytime. Malicious individuals want their prey especially when you’re not protected, you’re an easy candidate to get hold off. There’s no better feeling than to be secure at the comfort of your own home without prying eyes. If you want to take a shortcut by using free VPNs, consider this. 99% of free VPNs are viruses. They gather your data without your consent and upload it on phishing sites or sell it to third parties which are scary and very troubling. Are you willing to go through all of that just because you refuse to buy a VPN which actually does the job? We don’t think so. If you want to put your mind at ease, get a VPN this instant. Now you’re all set to binge-watch! Supernatural’s currently in its 14th season but won’t be ending until May or June, so you still have time to catch up to the hype! Remember, you can unlock streaming sites with a VPN. Sit on your couch now and start streaming Supernatural!